This urban patio space was built with a permeable paver system. This is a very attractive version which offers beauty and permeability, features not often found together. The stones have wide joints and are grouted with coarse gravel which lets water penetrate into the soil. This patio method will reduce dramatically the amount of water which would normally run off hardscape surfaces and helps to reduce erosion. 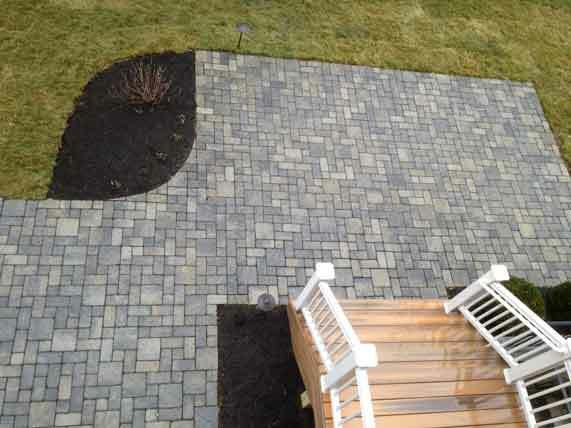 Permeable paving systems are very valuable in helping to preserve our natural watershed environments.